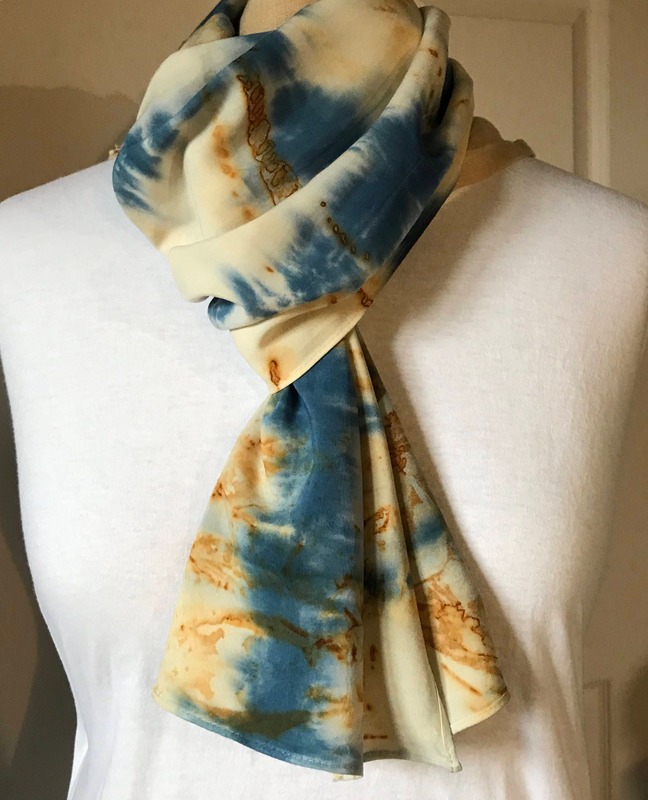 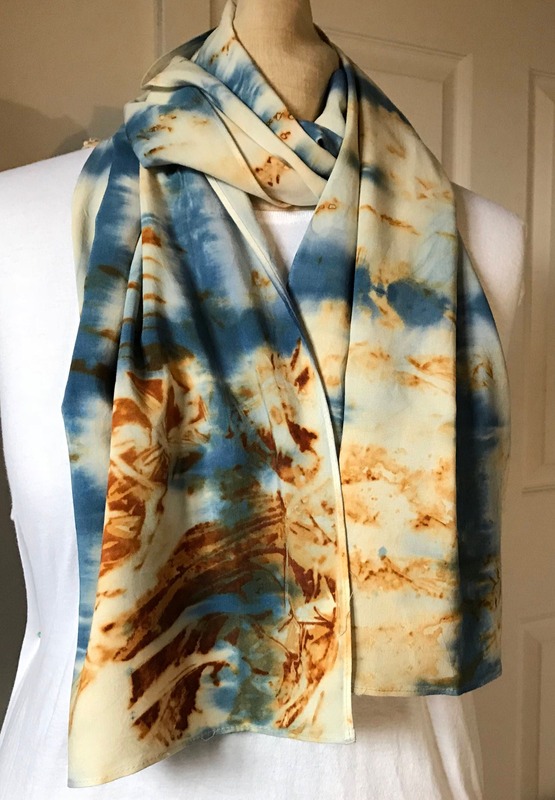 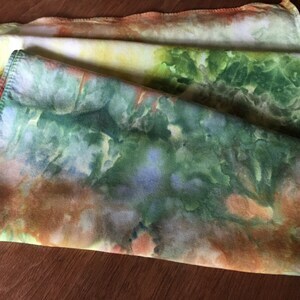 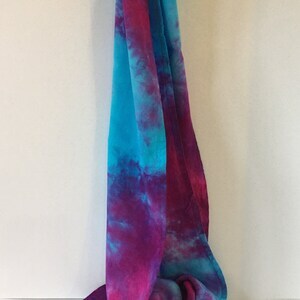 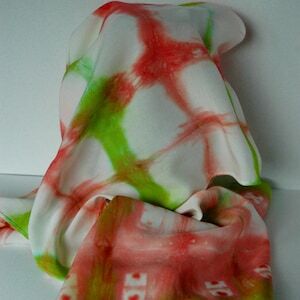 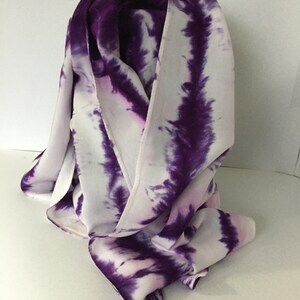 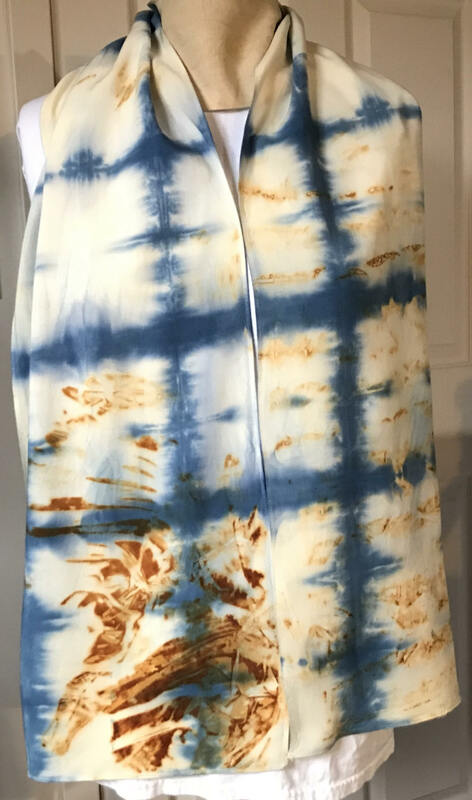 Bamboo Rayon scarf dyed using rust techniques and shibori folds for indigo blue lines. 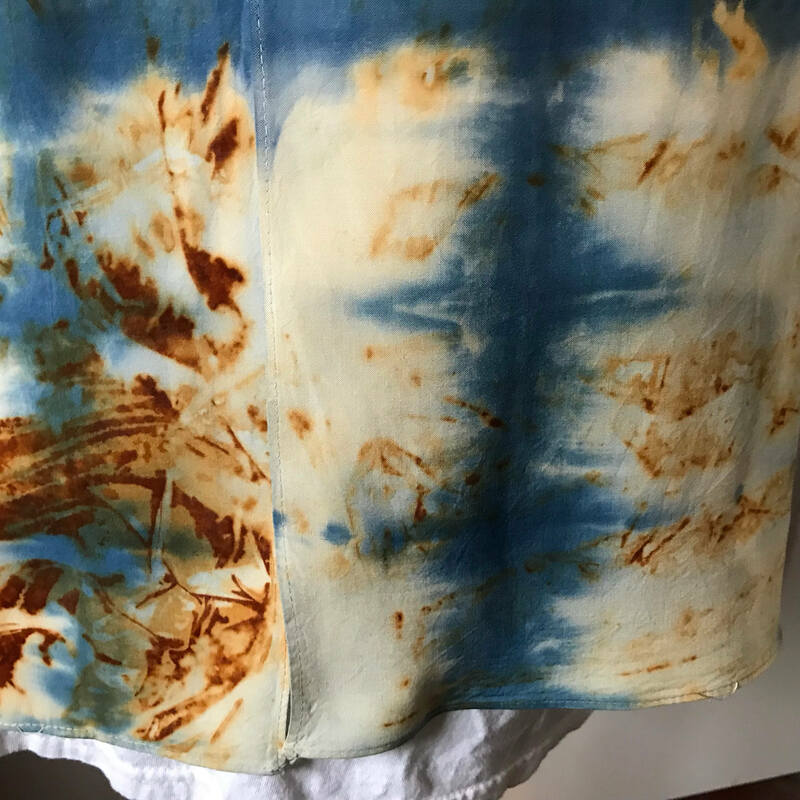 Lovely combination of blue and brown. 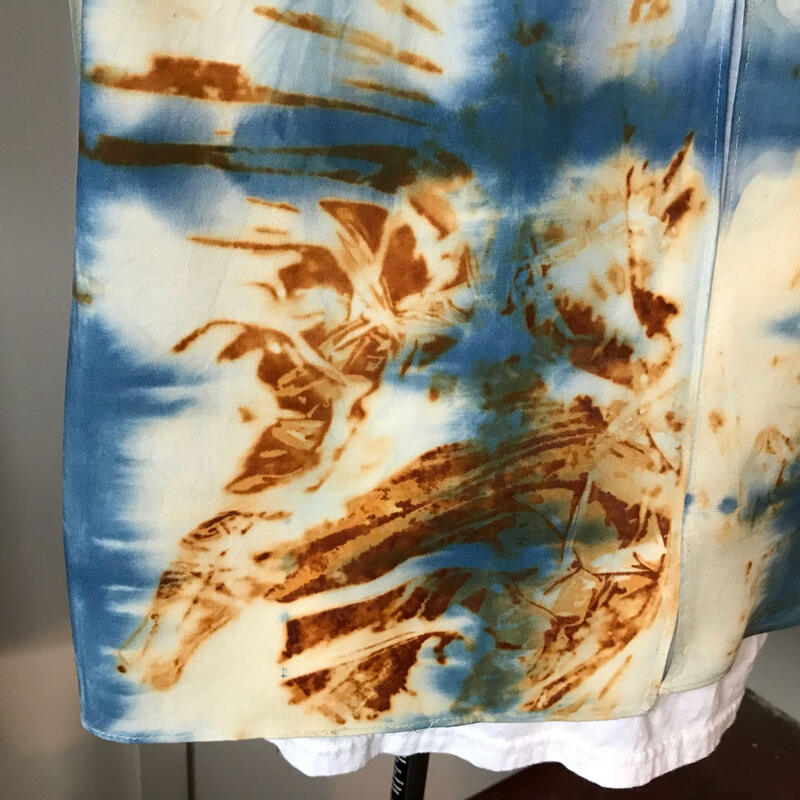 Hand wash using mild soap and light iron.